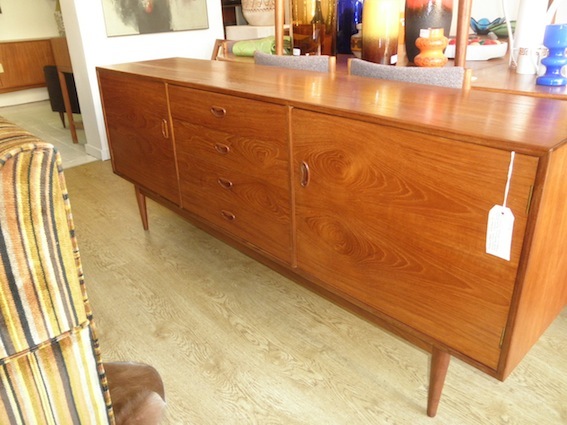 This Moderntone sideboard is in amazing condition and has some of the best veneers you will see. 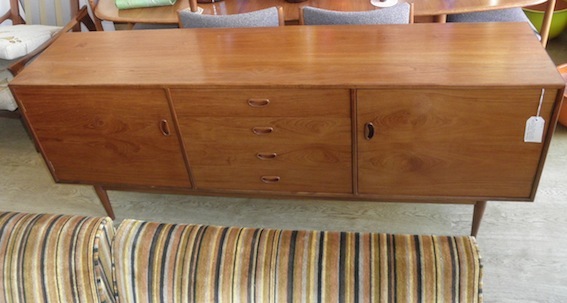 It isn’t too deep yet has that long low midcentury look that makes them popular for TV stands. Great Danish style handles and build quality.